The 25th Santa Barbara Film Festival begins on February 4 with a huge line-up of shorts and Apple Box Films for family viewing. Families can buy tickets at special prices and kids can see some films for free. Visit: www.SBIFF.com for information. Due to popular demand, ICE at Santa Monica, Downtown Santa Monica�s premiere outdoor skating rink will extend its operations until February 15, 2010. This recently announced extension makes ICE at Santa Monica the perfect place to spend Valentine�s Day with that special someone. ICE at Santa Monica boasts 8,000 square-feet of real ice and a 400-square-foot rink for children ages six and under, making it the ideal place to make Valentine�s Day memories. Skating works up an appetite, and the perfect compliment to an evening skate under the stars is dinner at one of Downtown Santa Monica�s fabulous eateries. Whether it be a casual bite or an intimate dinner for two, Santa Monica has options galore. Anisette Brasserie, a romantic French bistro uses only the freshest of ingredients from the local Famer�s Market. Award-winning chef director Alain Giraud has created a lavishly hearty menu, and the extensive wine list makes toasting with a special someone especially enjoyable. Long-time favorite Benihana features teppanyaki tables, where the food is cooked to perfection by a chef who is as much entertainer as culinary master. If Italian is on the slate, try Locanda Del Lago, which offers authentic Northern Italian cuisine. Located directly along the bustling Third Street Promenade, this charming restaurant recently received the Wine Spectator Award of Excellence and delivers perfectly crafted pastas. For a casual rendezvous, Caf� Crepe or Rosti Tuscan Kitchen is a great spot for a sumptuous Valentine�s Day meal. Caf� Crepe specializes in both savory and sweet crepes. It�s within walking distance from the rink and is a great stop for dinner before or dessert after a twirl on the ice. A beloved community locale, Rosti features an expansive menu of salads, pizzas and pastas. If the entire family is in tow on the 14th, Rosti is offering a Kids Eat Free coupon that is available at the ice rink. Beginning February 1st, five lucky winners will celebrate the most romantic day of the year in Santa Monica as Bayside District Corporation and 94.7 The WAVE give away two tickets to ICE at Santa Monica coupled with dinner for two each day of the week as part of The WAVE�s Online Contests. Visit www.947wave.com to register to win. Located on the south west corner of 5th Street and Arizona Avenue, (two blocks from Third Street Promenade) the rink is open from 10:00 a.m. to 10:00 p.m. Sunday through Thursday and 10:00 a.m.to midnight on Fridays and Saturdays through February 15, 2010. The rink will also remain open until midnight on Valentine�s Day. $10 admission includes skate rental. For group bookings at ICE, please call the rink manager at 310-496-9880. For more information about the ICE at Santa Monica Valentine�s Day Online Contest, visit www.947wave.com or www.downtownsm.com. Luckily for many of us and our kids, sitting �too� close to the TV isn�t known to cause any human health issues. This myth prevails because back in the 1960s General Electric sold some new-fangled color TV sets that emitted excessive amounts of radiation�as much as 100,000 times more than federal health officials considered safe. GE quickly recalled and repaired the faulty TVs, but the stigma lingers to this day. But even though electronic emissions aren�t an issue with TVs made any time after 1968 (including today�s LCD and plasma flat screens), what about causing harm to one�s vision? Dr. Lee Duffner of the American Academy of Ophthalmology isn�t concerned, maintaining that watching television screens�close-up or otherwise��won�t cause any physical damage to your eyes.� He adds, however, that a lot of TV watching can surely cause eye strain and fatigue, particularly for those sitting very close and/or watching from odd angles. 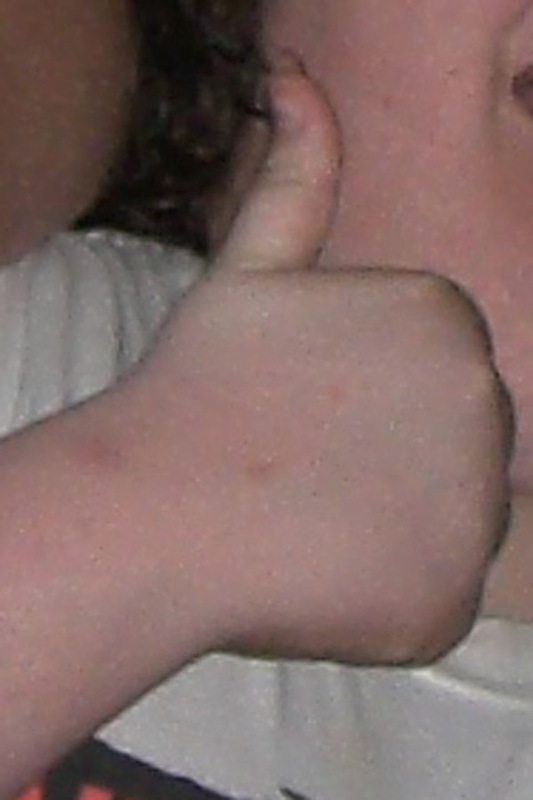 But there is an easy cure for eye strain and fatigue: turning off the TV and getting some rest. With a good night�s sleep, tired eyes should quickly return to normal. Of course, excessive TV viewing by kids can cause health problems indirectly. 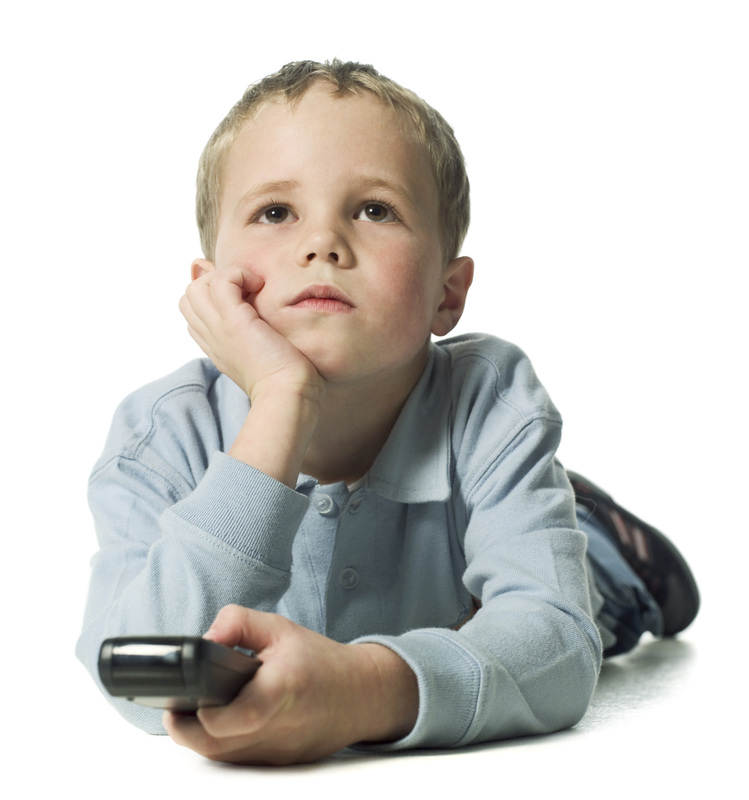 According to the Nemours Foundation�s KidsHealth website, children who consistently watch TV more than four hours a day are more likely to be overweight, which in and of itself can bring about health problems later. Also, kids who watch a lot of TV are more likely to copy bad behavior they see on-screen and tend to �fear that the world is scary and that something bad will happen to them.� Nemours also finds that TV characters often depict risky behaviors (like smoking and drinking) and also tend to reinforce gender-role and racial stereotypes. There has also been much debate in recent years on the effects of TV viewing on infants. A 2007 Seattle Children�s Research Institute study found that for every hour per day infants spent watching baby DVDs and videos they learned six to eight fewer new vocabulary words than babies who never watched the videos. But a 2009 study by the Center on Media & Child Health at Children's Hospital Boston found no negative cognitive or other impacts whatsoever on those infants exposed to more television than less. 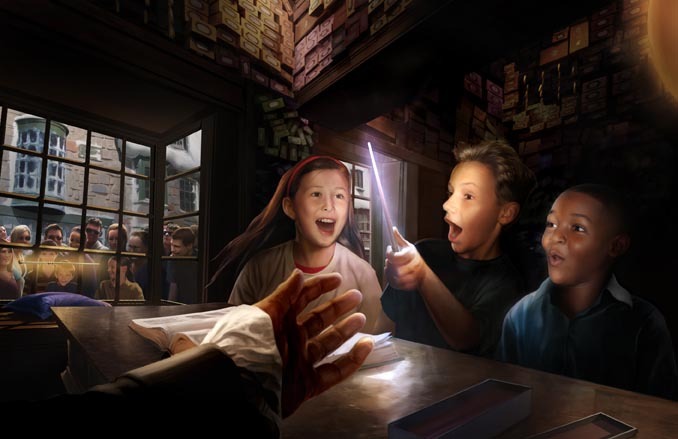 Visitors to the Ollivanders wand shop at The Wizarding World of Harry Potter will step into one of the most iconic scenes from the bestselling Harry Potter books and blockbuster feature films. With the assistance of a live actor, along with amazing special effects, guests of Ollivanders will get to experience the same type of magical moment Harry had in �Harry Potter and the Sorcerer�s Stone� when a wand �chooses them.� (Click here to view a video highlighting the Ollivanders experience, featuring commentary from Daniel Radcliffe and Emma Watson). Universal Orlando Resort has worked closely with Warner Bros. Consumer Products and the Warner Bros. Harry Potter brand team to make this moment as authentic, magical and immersive as possible for guests � a theme carried throughout the entire experience at The Wizarding World of Harry Potter. Inside Ollivanders, visitors will be surrounded by thousands of multi-colored dusty wand boxes stacked on shelves from floor to ceiling. They will be welcomed by an inquisitive Wandkeeper, who will guide them through an enchanting experience to find their very own wand. First the Wandkeeper will ask the guest a few special questions and then select the first wand for them to try. Just like Harry, the guest will be prompted by the Wandkeeper to give the wand a wave, and a series of magical mishaps will occur until the right fit is found. In addition to the magic featured in Ollivanders, guests will experience many other magical happenings at The Wizarding World of Harry Potter, including a Howler featured in the Owl Post shop front window whose ranting can be heard by guests as they pass by; The Monster Book of Monsters in Dervish and Banges that will snarl and growl at anyone who tries to get too close, and the Hog�s Head which can be seen puffing his jowls at visitors who visit the Hog�s Head pub. Inspired by J.K. Rowling�s compelling stories and characters � and faithful to the visual landscapes of the Warner Bros.� films � The Wizarding World of Harry Potter at Universal�s Islands of Adventure will provide visitors with a one-of-a-kind experience complete with multiple themed attractions, shops and an eating establishment. This completely immersive environment will transcend generations and bring the wonder and magic of the amazingly detailed Harry Potter books and films to life. There are many ways to enjoy your Orlando vacation � but there is only one Universal Orlando Resort. It is a completely separate destination featuring two theme parks, three magnificently themed on-site hotels and a nighttime entertainment complex. It�s the only Orlando destination where you are not just entertained � you are part of the most exhilarating entertainment ever created. You can soar above Hogwarts with Harry Potter, swing above the streets with Spider-Man, battle aliens alongside Agent J, help Shrek save Princess Fiona and create mischief with Bart Simpson. Harry Potter continues to be a global phenomenon. The series of books by author J.K. Rowling has been translated into 68 languages with more than 400 million copies sold in over 200 territories around the world. The films, produced by Warner Bros. Pictures, have grossed more than $5.3 billion at the box office worldwide, making Harry Potter the largest-grossing film franchise in history.